The ladies world champion wins after a spectacular third day racing. Laura Homar and Mar Fuster (CNA-RCNP), in 420; Isidro Codoñer (RCN de Valencia), wins in the Laser 4.7, and Marc Tello (CN El Balís), in Europe class win the oldest compeitition in the Balearic Islands. Favorites of the Optimist fleet did not fail in almost any condition. They are the best in the world for good reason. Maria Perelló, the winner, chained partial results (2+  + 1 + 1 + 1 + 2 + 2) and ended up taking an advantage of eight points to second place, the American Thomas Sitzmann (1 + 5 + 1 + 1 +  + 4 + 5), fifth in the world and leader on the penultimate day, and third, the Maltese Richard Schultheis, fourth in the last World Cup and seeded of the trophy, which ended up earning the bronze, or third place overall. For complete results, visit the RESULTS SHEET. In Laser 4.7 there were no surprises and Isidro Codoñer (RCN Valencia) was comfortable with the victory (2 + 2 + 2 + 2 + 2 +  +1) to be able to discard a black flag in the penultimate race. The silver went to Justo Martinez (CN Arenal), who was five points behind the champion. Robert Keal (CN El Balis), with a disadvantage of 34 points with respect to the head, was awarded the bronze medal. The winner in the female category was Gemma Llamas (RCNP), seventh in the overall general classification. The Europa class, which was returning to the Ciutat de Palma Trophy after several years of absence as a scoring event of its national ranking, offered a great show and proved its validity as a single vessel. Marc Tello Pons (CN El Balis) was the absolute winner with a counter of 1 + 3 + 4 +  + 2 + 3 + 5 and an advantage of only two points over the runner-up, Alejandro Pareja (RCN Torrevieja), and six with respect to the third classified, Oriol Piña (CN Estartit). Laura Homar and Mar Fuster (CNA – RCNP) met the predictions and remained at the forefront of class 420. The Mallorquins, in three days of competition, and with eight contested events, totaled 12 net points with a partial of 2 + 2 + 1 + 3 + 13 [UFD] + 1 + 1 + 2. 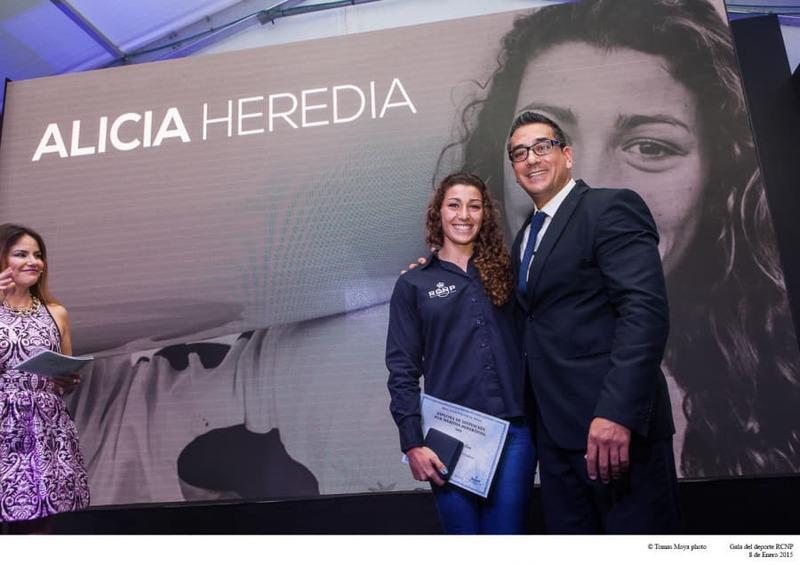 The second position went to Marina Lladó and Ángela Serra (CN Sa Ràpita – CNA), with 17 points, while the third place went to Lucía Ruiz and María Munar (RCNP), with 24 points. The Ciutat de Palma Trophy concluded with the awards ceremony held in the regatta village with the presence of the Deputy Mayor for Sports, Susanna Moll; the president of RCNP, Javier Sanz; its commodore, Juan Besalduch, and José Carlos Frau, CEO of Bufete Frau, sponsor of the event. 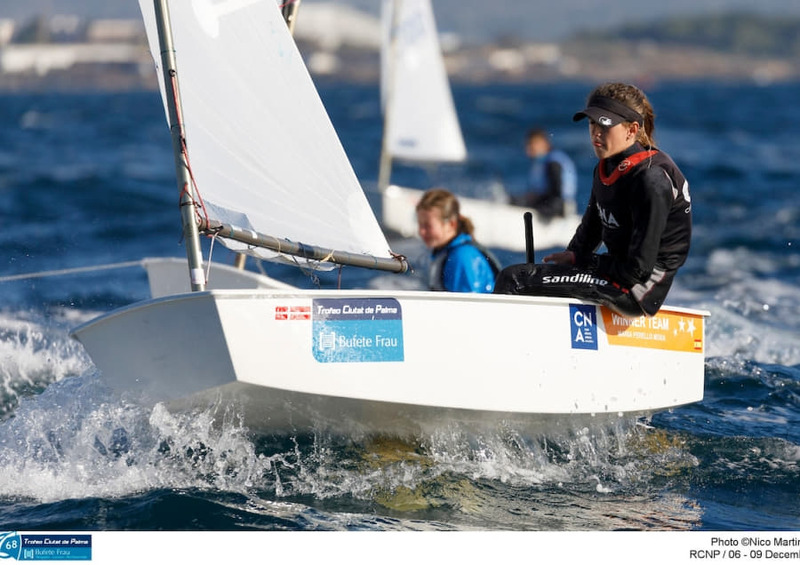 María Perelló raised the silver caravel on whose base her name will be inscribed and which she credits as the absolute winner of the Ciutat de Palma Trophy Bufete Frau, one of the few Optimist regattas that she had left to win. The Trofeo Ciutat de Palma Bufete Frau will raise quality for it`s 68th edition.